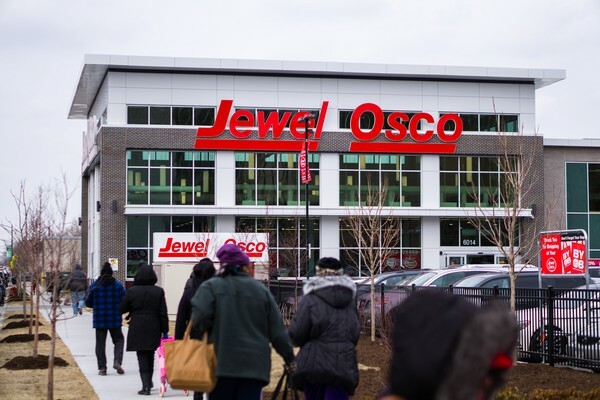 In a ribbon-cutting ceremony held Thursday morning, supermarket chain Jewel-Osco officially opened its new, 48,000 square-foot location on the corner of East 61st Street and South Cottage Grove Avenue. Woodlawn is considered by many to be a food desert, an urban area with limited access to affordable and healthy fresh foods. Jewel-Osco is the full-service first grocery store to open in Woodlawn in over 40 years. The store sits on the corner of East 61st Street and South Cottage Grove Avenue. The full-service grocery store and drive-through pharmacy are a project over two years in the making. The Jewel-Osco opening is expected to create 200 full- and part-time jobs for residents of the Woodlawn community. The store has also brought in more than 30 local and minority-owned vendors to sell produce. 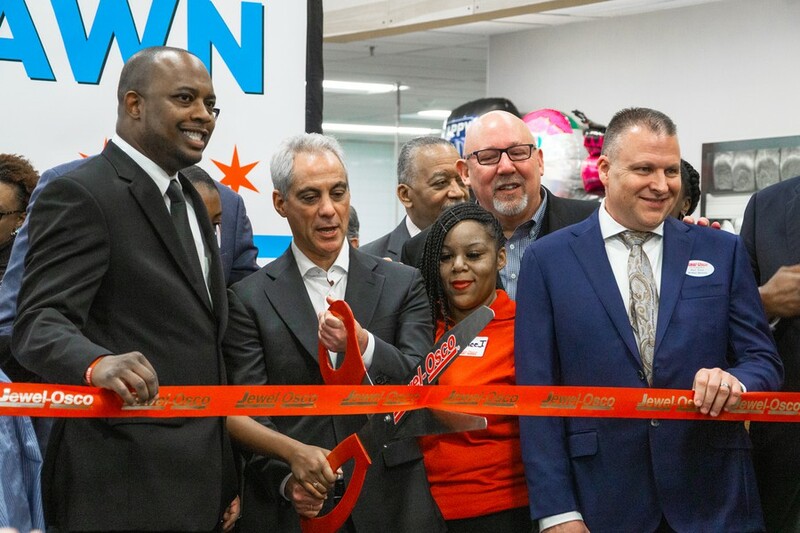 Standing before a crowd of 150 people squeezed between aisles of fresh produce and ready-to-eat meals, Mayor Rahm Emanuel said, “Yes, this is a new grocery store. But when we cut this ribbon, we’re opening up so much more.” He praised the MetroSquash Center, renovations of the Garfield Green Line CTA station, the incoming $30 million housing complex on East 63rd Street and South Cottage Grove Avenue, and the new UChicago Charter School’s Woodlawn campus as other local projects intended to spur urban renewal. 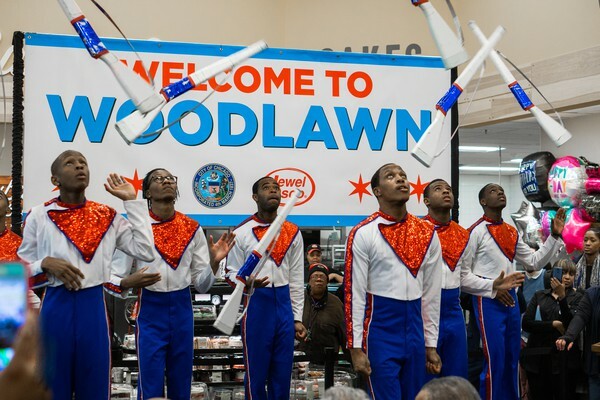 The South Shore drill team performs at the Jewel Osco opening. Emanuel took a moment to thank and reflect on the service of Jewel-Osco President Doug Cygan, who died in 2018 at the age of 55. Cygan played an instrumental role in delivering a branch of the chain supermarket to Woodlawn. There were 40 people waiting for the doors to open this morning at 6 a.m., according to Jewel-Osco president Paul Gossett.